Win McNamee/Getty ImagesIvanka Trump and Jared Kushner (L) arrive for a ceremony on the South Lawn of the White House. NBC News on Monday cited unnamed sources as saying Qatar had information purportedly showing that the Trump administration’s policy toward the country was influenced by the United Arab Emirates. Qatari officials reportedly decided not to share this information with the special counsel Robert Mueller for fear of damaging Qatar’s relationship with the US. Jared Kushner’s business interests in countries including Qatar have also come under scrutiny by Mueller’s team amid the investigation into Russian election meddling and the Trump administration. Qatari officials say they have information showing that the United Arab Emirates exerted improper influence over the White House senior adviser Jared Kushner and others close to President Donald Trump, according to NBC News, which cited three unnamed sources. The officials, NBC News said, believe that a series of secret meetings may have led Trump to take the UAE’s side in a diplomatic row with Qatar last year. The Qataris decided not to reveal this information to the special counsel Robert Mueller’s team after they met with the Trump administration in Washington, DC, in January and February of this year, NBC News reported, because those meetings seemed productive and they didn’t want to spoil any of their gains. Mueller’s team is reportedly looking into how Kushner’s business ties in Qatar, Russia, China, Turkey, and the UAE may have influenced Trump’s foreign policy. About two weeks ago, The Washington Post reported that several countries, including the UAE, had identified Kushner as a senior administration official they could easily influence. Trump decided to side with the UAE and Saudi Arabia in its row with Qatar last year soon after an investment deal that Kushner’s family had been pursuing in Qatar fell through, according to The Intercept. The secret meetings, including one in the Seychelles that garnered public attention last week, involved George Nader, a Lebanese-American businessman who served as an adviser to the UAE; Elliott Broidy, a Republican donor; and people with ties to Trump like the private-security entrepreneur Erik Prince. The purpose of the Seychelles meeting was apparently to set up a communication back channel between the US and Russia. 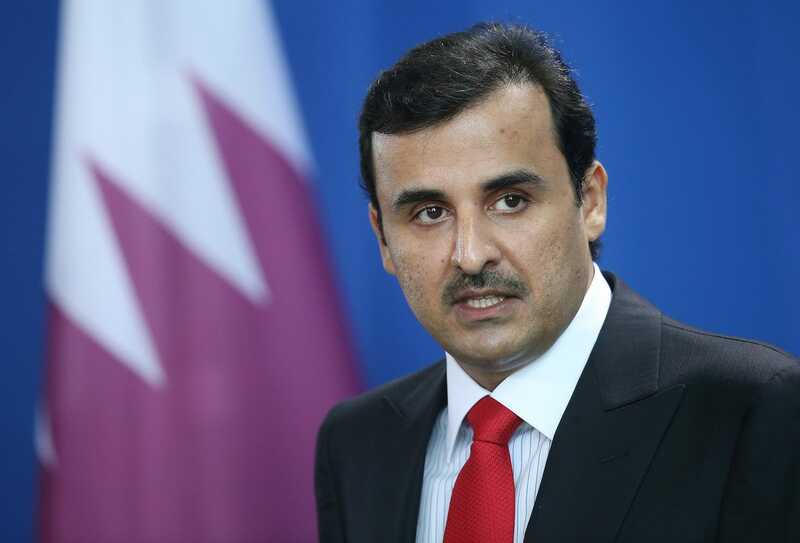 Sean Gallup/Getty ImagesSheikh Tamim bin Hamad Al Thani, the Qatari emir, speaking with the media after talks at the German Chancellery on September 15 in Berlin. Though Prince has claimed he was not acting as a Trump representative in the Seychelles meeting, Mueller’s team, which is investigating Russian election meddling and the Trump administration, reportedly has evidence that he was. The high-profile diplomatic falling out between Qatar and several powerful Arab countries including Saudi Arabia, the UAE, and Egypt took place last year as Qatar was cultivating closer ties to Iran. The Saudi-Emirati bloc accused Qatar of being a state sponsor of terrorism and cut off diplomatic ties with it. Trump eventually took their side on the matter, despite protest from Secretary of State Rex Tillerson.